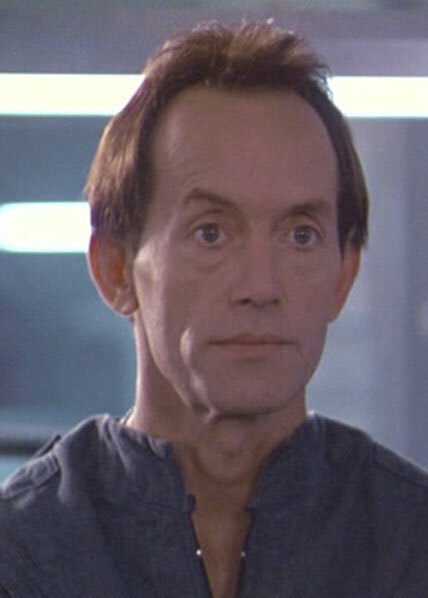 Bishop was the "Synthetic Person" (aka Android) send to accompany the Marines on LV-426. While initially suspicious to Ripley due to her experiences with Ash on the Nostromo, Bishop ultimately proved his worth by aiding the surviving marines in the escape from the colony by calling down the extra drop ship and piloting it off the planet. Bishop is damaged aboard the Sulaco when the stow away Alien Queen rips him in two. Because bishop is an android, aliens will not directly target him unless he is the lone character remaining, or presents a barrier between them and the next nearest target. Also, due to his programming, Bishop cannot harm or by action allow to be harmed a human. In scenarios involving Bishop, any action that Bishop performs may not knowingly endanger another squad member. Additionally any scenario involving bishop after the escape from LV-426, will require another character to carry him (normal carry rules apply) as he has no legs.